So The Star ran a huge front page exclusive on Jho Low today - Malaysia's most prominent socialite who spends on partying like nobody's business and gets down with the likes of Usher, Paris Hilton, Megan Fox and Jamie Foxx. Why the fuss? Dude made his money... biarlah. Gotta respect him for making his bucks the right way (assuming based on his statements). 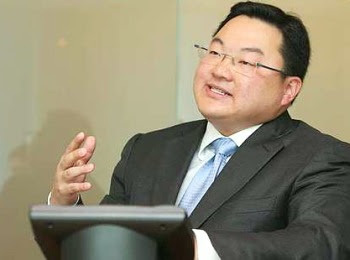 Anyway, Jho Low, if you read this, hit me up, since you keen on investing back home especially in the entertainment industry. I got ideas to rock your socks off! Contact me at the email on this page. And dude, I have your nasty secrets about your past! And a pic of your love child! Ok... so maybe that's not true. But I think that's where Jho's money came from. 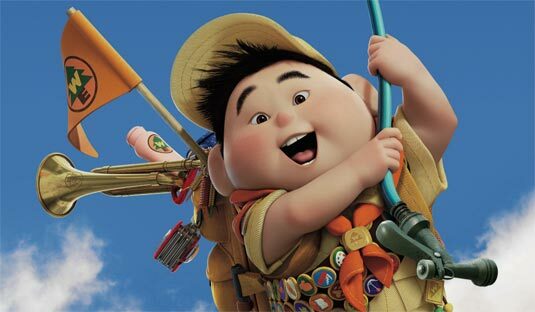 Up was a huge hit right? Did he copyright and sell his likeness fro his kiddie photos? Ah.. maybe that's where the REAL money came from. And since he's a friend of David Katzenberg, Nicky Hilton's boyfriend, and the son of one of the founders of DreamWorks, which is Pixar's (who produced Up) biggest rival - will it drive a divide between their friendship? The World Exclusive tomorrow! Heh! PS - Sorry, I just had to make this entry up sebab I find it amusing the dude hits not only the front page of a national daily, but take up four or five pages with continuing exclusives tomorrow. Aiyo! Dude not exactly a philanthropist (though am sure he sounds like a nice guy). So where are news pages going to now? (bet you The Star hoping for ads or tie-ups/investments).